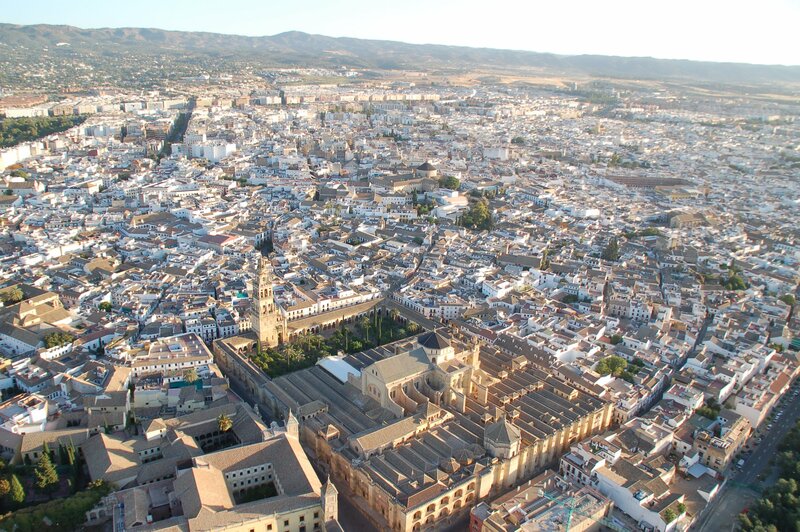 Due to the hot, dry Cordoban climate, the city’s inhabitants, – first the Romans and later the Moslems – adapted the typical design of the popular house to their needs, making the home centre around an inner courtyard (patio in Spanish). 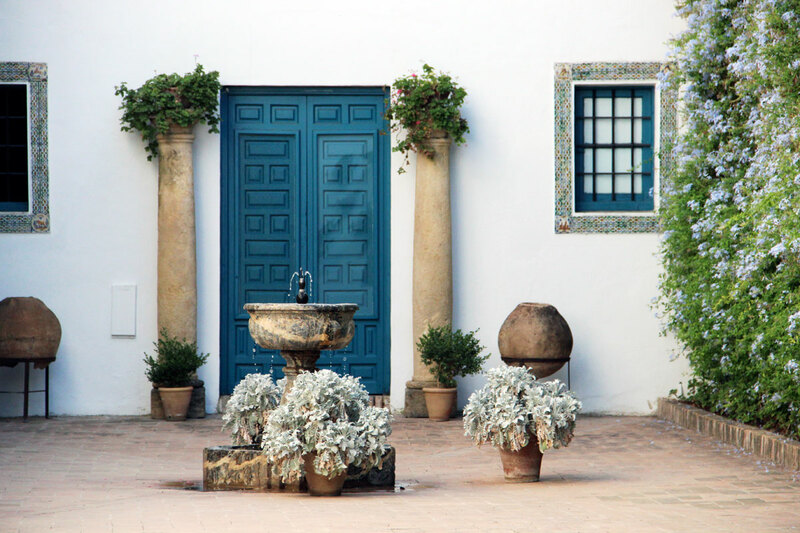 Due to the hot, dry Cordoban climate, the city’s inhabitants, – first the Romans and later the Moslems – adapted the typical design of the popular house to their needs, making the home centre around an inner courtyard (patio in Spanish), normally with a fountain in the middle and often a well to collect rainwater. 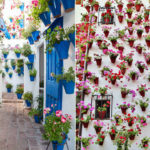 The Moslems made further adjustments, giving the house an entrance from the street which passed through a porch, and filling the courtyard with plants to give the sensation of freshness. 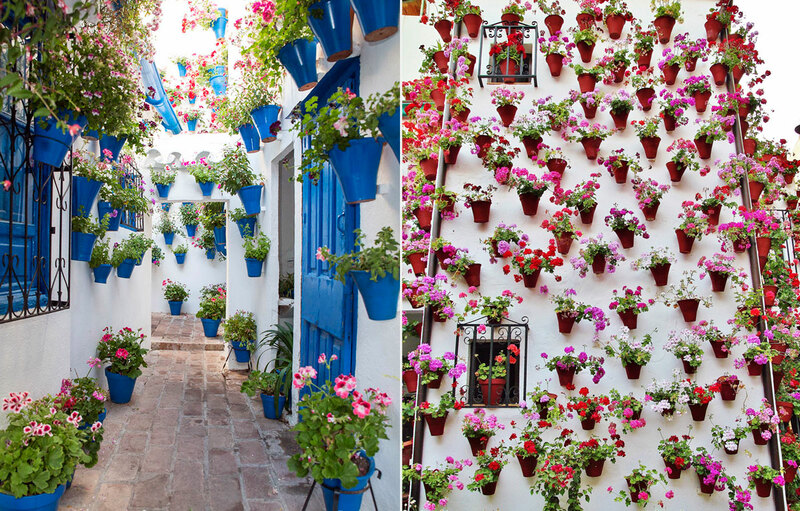 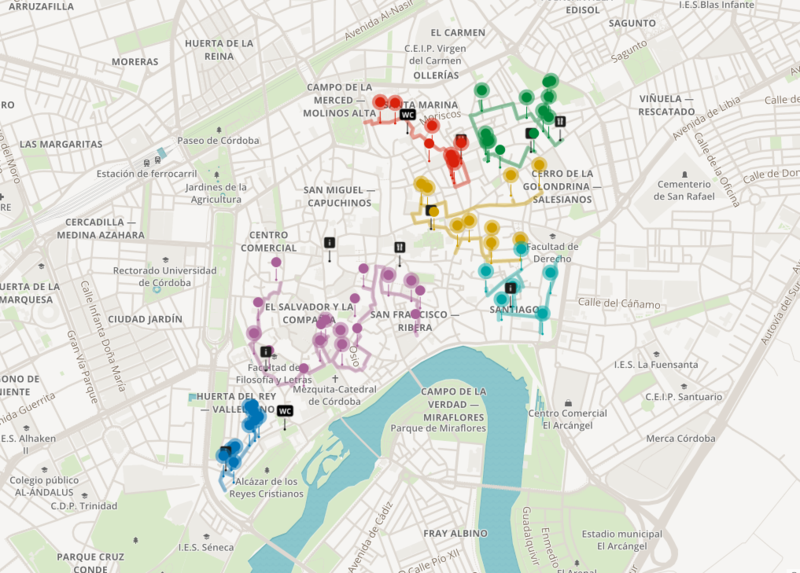 Every year in May, the city of Cordoba, Spain celebrates its traditional Cordoba Patio Festival. 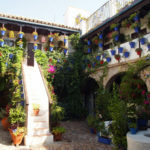 In this festival, patio owners decorate their ornate iron grills and balconies with plants and flowers; mainly gitanillas (ivy geraniums), geraniums and carnations. 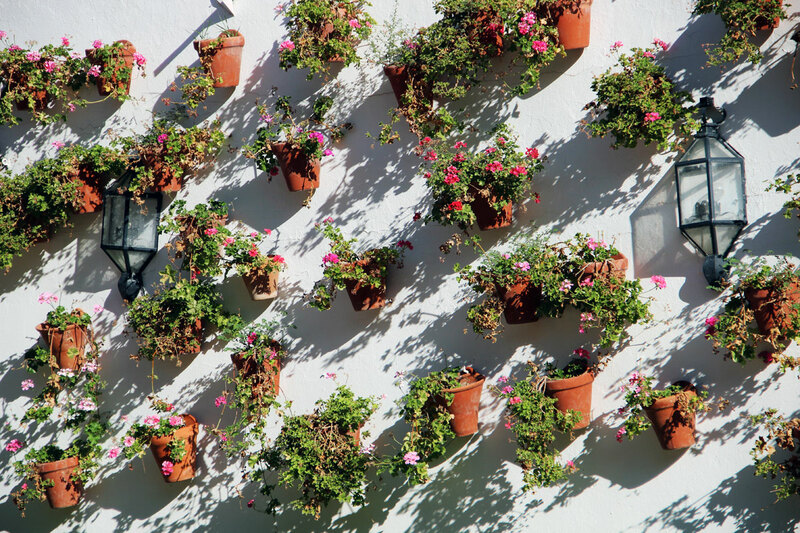 The Cordoba Patio Festival is a true representation of Andalusian folklore that manifests itself in its entire splendor in the early spring. 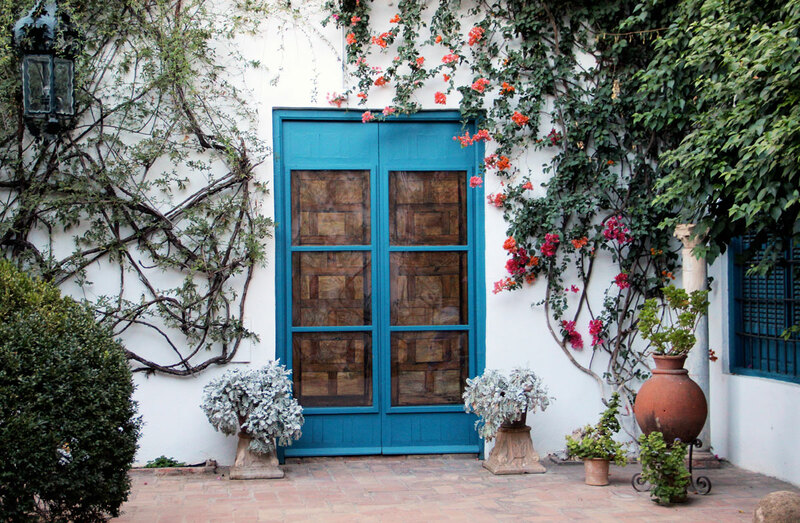 Normally the patios are privately owned and unavailable for public viewing, but during the festival their doors open up for all to see by their proud owners. 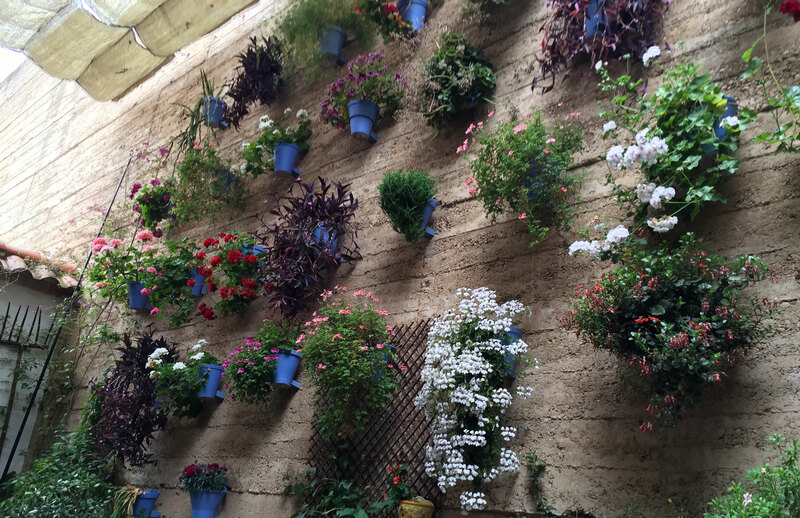 These patios have been constructed in Cordoba throughout the city’s history, going back to Roman times and their use of the atrium, and today we can find some patios that date back to the 10th century. 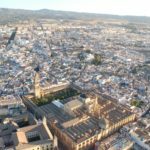 During that time Cordoba was the center of Al-Andalus, the Muslim caliphate in the Iberian Peninsula and was its largest city with a half million inhabitants—much more than the present population of 330,000 people. 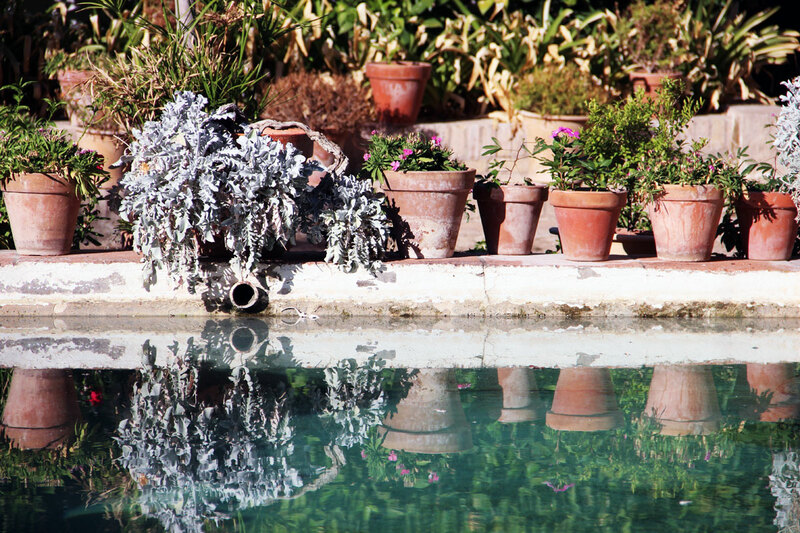 These exotic patios were built by Arabic architects, following in the architectural footsteps of the Romans, and with these patios the concept of the oasis was exemplified; greenery and water, both essential for survival in the desert lands from which the Arabs originated, are represented. 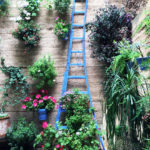 This feature also created a public space within the home creating a type of private “street”. 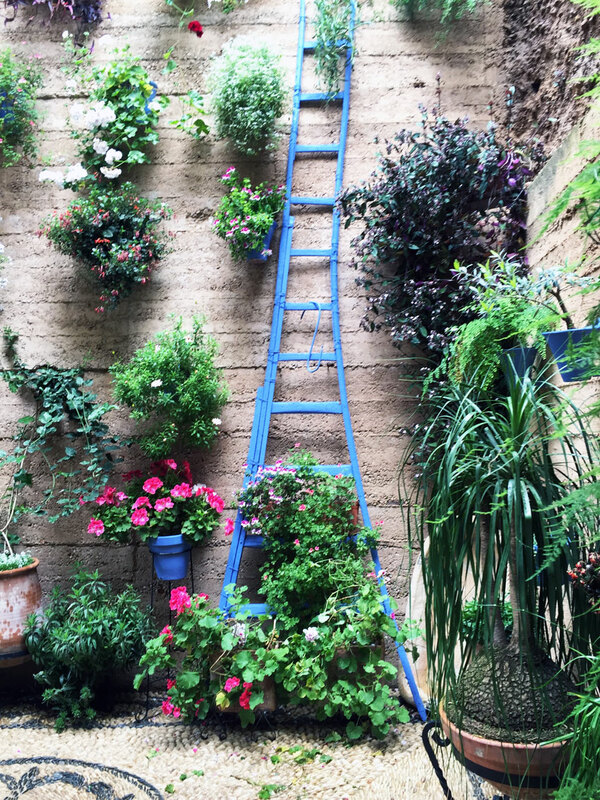 There are clearly two types of courtyard. 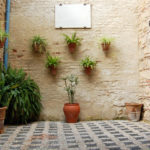 The first type is in a one-family home in which the rooms are arranged around the courtyard – it usually has arches and either a clay tiled or decorative pebbled floor. 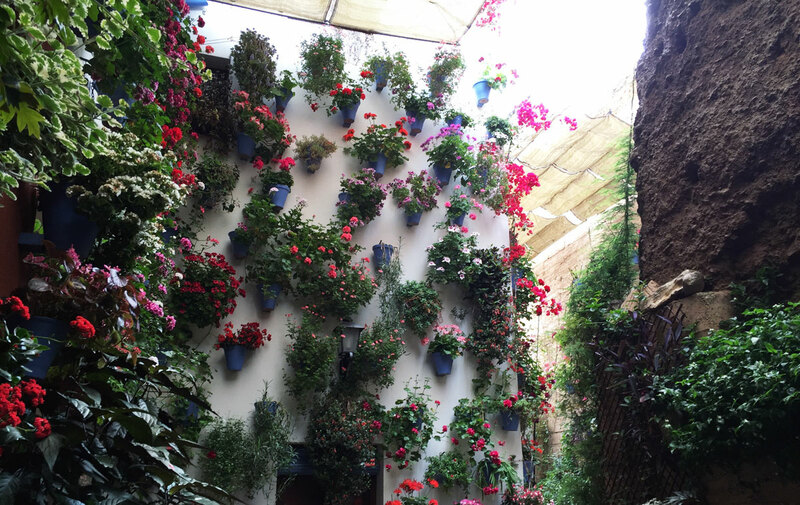 The second type is called a neighbours house (casa de vecinos). 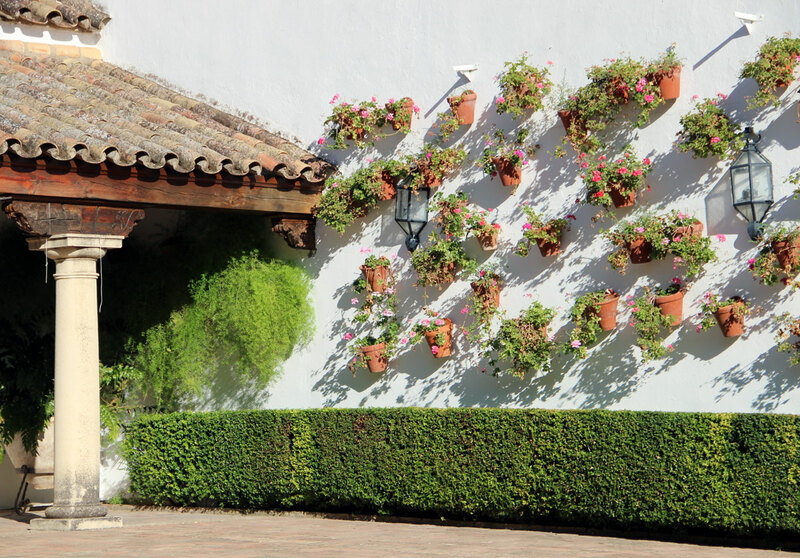 Here the individual homes look out onto the courtyard – however, these are much less common nowadays. 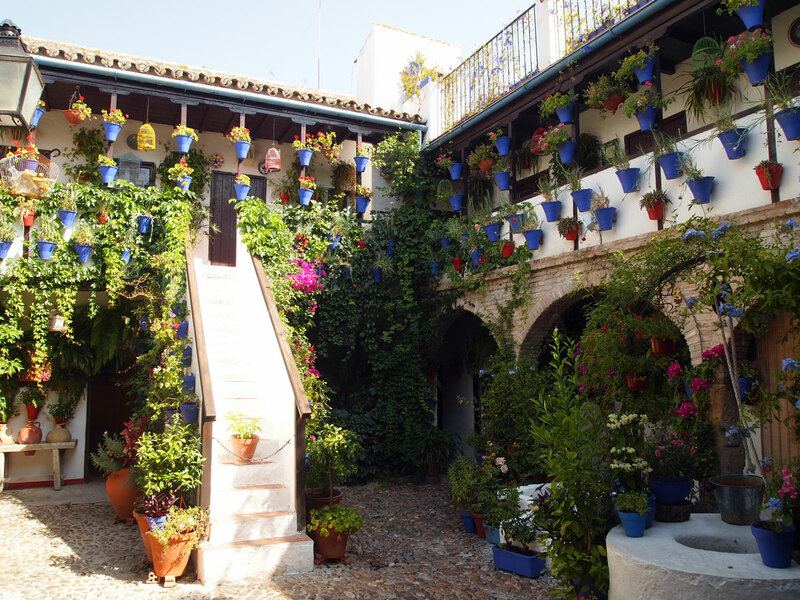 It usually has two floors and the courtyard is made all the more attractive by the long balconies, staircases and baked clay roof tiles. 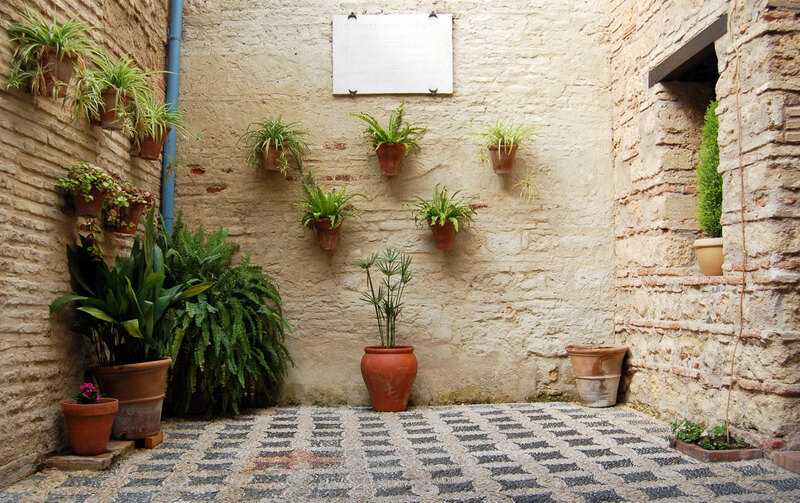 The floors usually have decorative pebbles and there is often a well instead of a fountain, as well as a communal washing room. 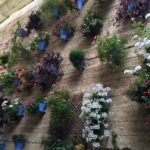 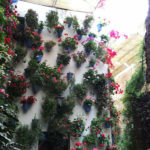 Cite this article: "Vertical Gardens: The Courtyards Houses of Cordoba in Spain," in ArchEyes, May 13, 2016, http://archeyes.com/the-courtyards-of-cordoba/.